A smallholder livestock farmer in India. Animal feeding and nutrition deserves greater attention as a critical discipline in addressing the environmental impacts of animal-sourced foods production (photo credit: ILRI). Contributing about 40% of protein in human diets globally and more than 50% in developed countries, animal-sourced foods (ASF) are crucial to the nutrition of millions of people. Increasing demand for livestock products, particularly in low and middle income countries, offers market and income opportunities for many smallholder livestock producers. However, the livestock sector is facing increasing pressure to reduce its impact on the environment, especially its greenhouse gas (GHG) emissions, and the water use of some livestock production systems. 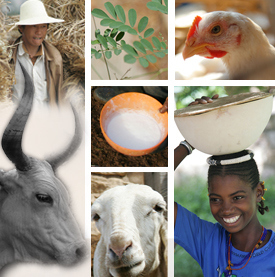 Researchers, involving a combination of agricultural economists and biological scientists working on livestock feeds, from the International Livestock Research Institute (ILRI) and India’s National Dairy Development Board believe that ‘feed resourcing and feeding is at the very interface where the positive and negative effects of livestock, income, livelihoods and environment are negotiated’. 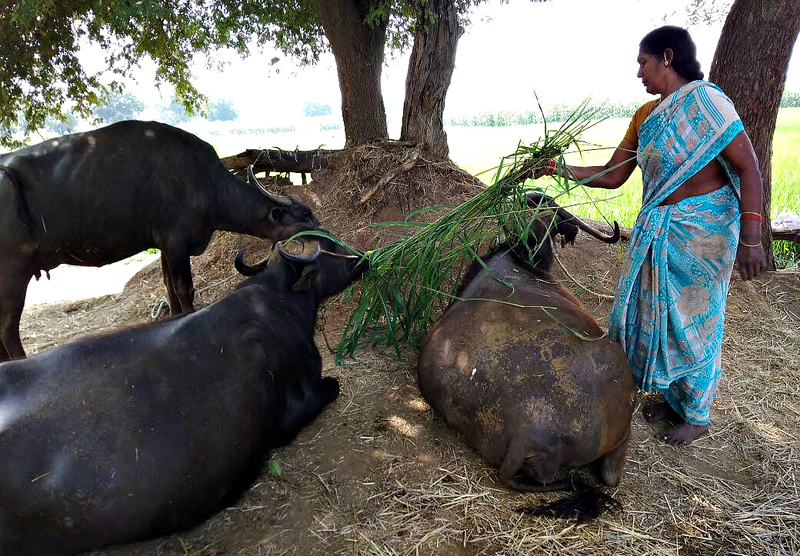 They make the case that animal feeding and nutrition deserves greater attention as a critical discipline in addressing the environmental impacts of ASF production to ensure livestock-based livelihoods are maintained in the face of these challenges. providing opportunities for enterprises in feed production, marketing and processing to generate income and make off-farm produced feed available. To tackle rising feed costs compared to farm gate prices of ASF, the researchers recommend addressing feed scarcity by increasing feed resources from forages and crops residues. They suggest that these measures should be supported by investment in research to improve the quality of these resources. At the same time, leveraging technologies for the deconstruction of ligno-cellulosic material and matching and optimizing feed nutrient supply and animal performance on-farm can improve the efficiency of feed utilization enabling farmers to keep fewer, more productive, animals thereby reducing GHG emissions. The scientists call for a paradigm shift in feed research, giving more attention to the production of affordable off-farm produced feed. This will require increased cooperation between animal nutritionists, economists and the private sector in developing viable business plans to open up more opportunities for feed production-related businesses and to create employment for the youth. Overall, they argue, achieving these animal nutrition goals will require greater partnership between feed researchers and forage and crop breeders, economists, socio-economists, natural resource management experts, policymakers and the private sector. Tags: animal nutrition, greenhouse gas emissions, Michael Blümmel. Bookmark the permalink.